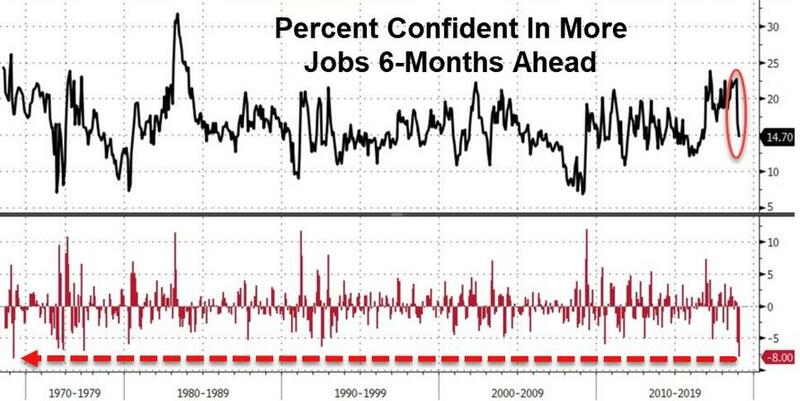 After tumbling in December, expectations were for a further decline in The Conference Board consumer confidence data and despite the resurgence of the stock market, confidence plunged more than expected. 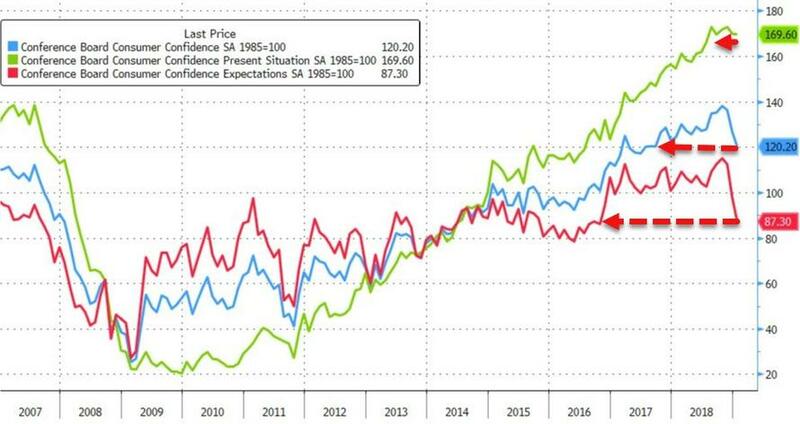 The Conference Board's Consumer Confidence Index was 120.2 in Jan, compared to 128.1 in Dec, 136.4 in Nov and 137.9 (18-year high) in Oct. The cumulative loss since Oct is now 17.7 points (12.8%), the worst string of losses since Oct 2011. "The Present Situation Index was virtually unchanged, suggesting economic conditions remain favorable. Expectations, however, declined sharply as financial market volatility and the government shutdown appear to have impacted consumers. Shock events such as government shutdowns (i.e. 2013) tend to have sharp, but temporary, impacts on consumer confidence. Thus, it appears that this month’s decline is more the result of a temporary shock than a precursor to a significant slowdown in the coming months."